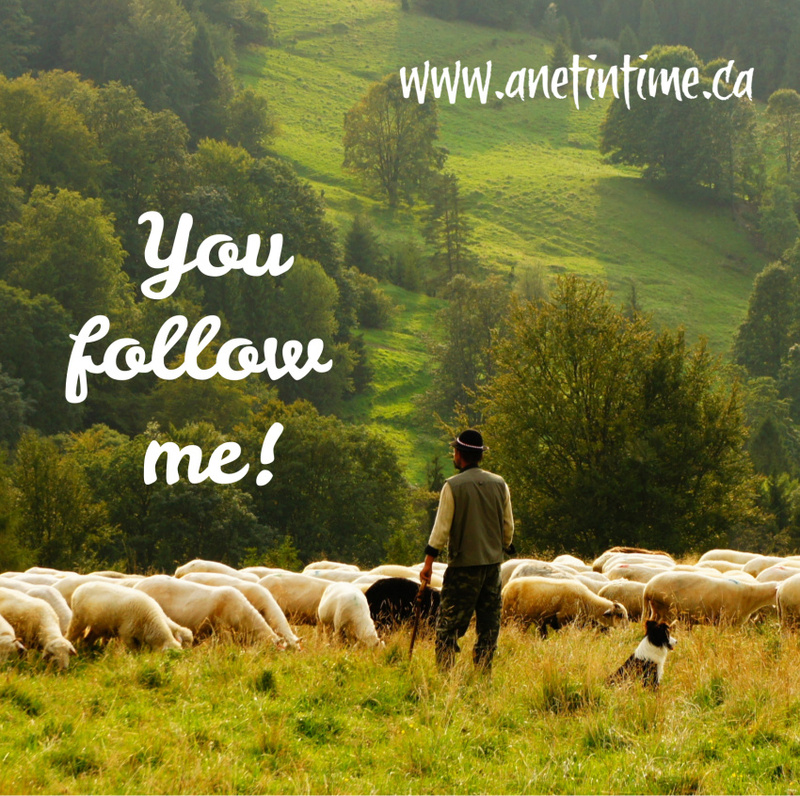 You are here: Home / Faith / Follow Me! Oh wonders! Did you know we’re on the last few verses of John? Time has passed well I think hasn’t it? Anyways, last time Jesus asked Peter three times about his love for him. Today we’ll finish off the book of John. Peter has heard that he will die for the Lord. That’s got to be startling. 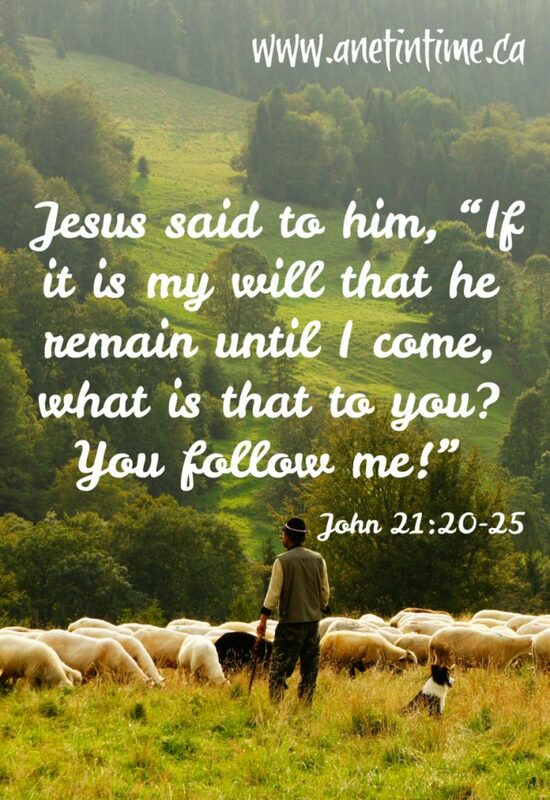 In the aftermath of that news Peter sees the disciple that Jesus loved following them. 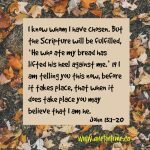 This same disciple had leaned up against Jesus during their last supper and had asked “Lord, who is it that is going to betray you?” But that isn’t the point of this conversation, the point is that Peter was wondering what would happen to this particular disciple. Jesus pointed Peter back to where his focus should be. Following him. The disciple that Jesus loved is the same disciple who bore witness about everything here. He wrote the book of John. Ergo we know the disciple that Jesus loved was John. John’s testimony is known to be true. Jesus did a whole lot of other things. John tells us that if all of them were written down, the world could not hold the books written. I know I supposed that Peter might have been shocked/startled at Jesus’ revelation that Peter would die for him. I wonder though, if he was feeling a bit “put out about it too”. This wondering is based in Peter’s questioning Jesus about the fate of John. Why it was important to bring up the conversation at the last supper. Scripture was never written blindly. I love how Jesus pointed Peter back to himself. I am reminded of how often I will profess my love for the Lord. I’ll have a purpose in mind again, and then it happens. I get distracted. That’s, I think, what happened to Peter. He sees this other disciple and knows that Jesus loves him. Jesus just told Peter that he would die for him. Peter had been wounded by Jesus asking him three times about his love for him. Gives him three tasks to do. Then tells Peter he’ll die. So a wounded, startled Peter sees John and wonders… what will happen with John? In that wondering he took his eyes off his own professed love. He loves Jesus. Wants to do whatever Jesus asks of him. But here in this moment, he is distracted. Like when a momma in training her boys gives one son a task, and then to the “what about Joe?” Says never you mind, Go sweep the floor like I asked. Let’s try not to get distracted, but rather to just do as the Lord commands. Follow him. Not minding how he asks others to do the same deed. Our focus needs to be on what the Lord has given for us to do. Distraction certainly does happen and way too often. Good points here to direct ourselves back to the One we love.